Come to an angling paradise where more than hundreds and thousands of lakes, rivers and streams are brimming with some of the best freshwater year-round fishing experiences in the world. The Canadian provinces of Ontario, Manitoba, Saskatchewan, and Alberta are known worldwide for its exceptional range and diversity of fishing experiences. Choose from housekeeping cabins, all-inclusive lodges, remote camps, and fully-outfitted, guided groups. Fly, paddle, drive, or take the train to your next angling adventure. Pine Sunset Lodge is located on the shores of Dinorwic Lake which is part of the Wabigoon Lake System near Drydon, Ontario. Great service and a helpful staff welcomes you to cabins that have been modernized and updated. The lake is a strong walleye fishery and one of the top musky fisheries in the area. Smallmouth bass and lake trout also offer great opportunities . Nearby portage lakes are also available. Bear and moose hunting packages are also popular. We feel there is a significant difference between the experience we offer at Kenanow Lodge, compared with what the other larger lodges offer. Some people prefer the larger, less personal, anonymous experience offered at large lodges. The guests who come to us year after year do so because they’ve come to know us, and like us, and look forward to the close contact and friendliness of our place. Hello from Manitoba! Smack dab in the middle of Canada, our province is known for its rugged wilderness, big open skies and an abundance of experiences for any trip! Fishing and Hunting in Manitoba, your next adventure starts right here. Be inspired. 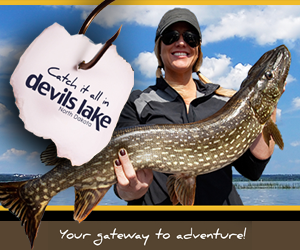 Over 100,000 lakes and 30 species of fish to choose from. Pursue your passion. From big game to waterfowl, we have it all. Budd’s Gunisao Lake Lodge is a five-star destination for anglers who want to target trophy Walleye. Gunisao Lake produces a high number of Trophy Walleye each season — 65 percent of them to be exact. For fishing, comfort, and relaxation then Budd’s Gunisao Lake Lodge is the place to be. Gunisao Lake is a short 75-minute flight from Winnipeg. Full-service cabins with lakefront views and private docks. Propane barbeque, decks and /or screened in porches. Remote drive-in Four seasons sportsman’s resort located at the North end of the Whiteshell Provincial Park in Pointe du Bois Manitoba.The Winnipeg River offers superb fishing for Walleye, Northern Pike, Perch, Sturgeon and Smallmouth Bass. We offer great Ice fishing packages that are truly unforgettable. View the Ice Fishing gallery to see the size of these Northern Pike.